Have a good time away from the computer and a wonderful holiday with your family. Happy Holidays to you too, dear Sandra. 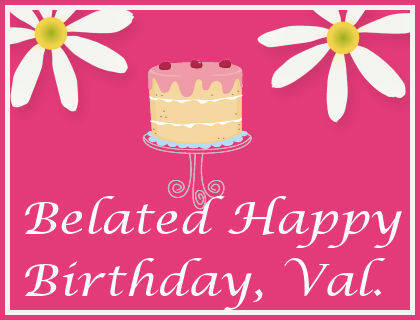 It's still the 21st here, so you aren't late wishing Valerie a happy birthday. Thank you for the good wishes, Elizabeth. Happy Holidays, Heather! I did and hope you did also. I hope your holidays are as generous, warm and supportive as you are. Have fun with your family. Lots of fun. Thanks for the lovely sentiments, EC, and right back at ya. Hope you enjoyed your bday and Christmas. You also have a great Christmas Sandra. Thanks, Yvonne. Hope you did. Thank you, Barbara. Hope yours was. Merry Christmas to you Sandra. Thanks so much, Andrew. Hoping yours was a good one. Hope you have a great one at your sea! Merry Christmas. We did! Hope you did too, Pat. Have a blessed Christmas! I'll be offline as well and enjoying the holidays. Hope they were grand, Alex. Hope your holidays were filled with fun and joy, Steve. Have a very Merry Christmas with family, friends and much merriment. Thank you, Birgit. It was. I hope yours was as well. Thank you. And to you, Adam. Merry Christmas! Enjoy the time with your family. As always, we'll leave the light on for you. Thanks, CJ. That always puts a smile on my face. Thank you, True. Hope yours was merry too. And a merry one to you, Christine. Thank you, Janie. Hope yours was. And to you, my friend! Merry Christmas! A belated Merry Christmas, Jeanie! Merry Christmas Sandra!!! Wishing you and your loved ones, all the best! Thanks, Stacy. Hope yours was wondrous. Thank you, Patsy, and right back at ya. Thank you, Hilary. I trust your Christmas had everything in it that you wished for me. Thank you, Ro. Hope yours was wondrous. 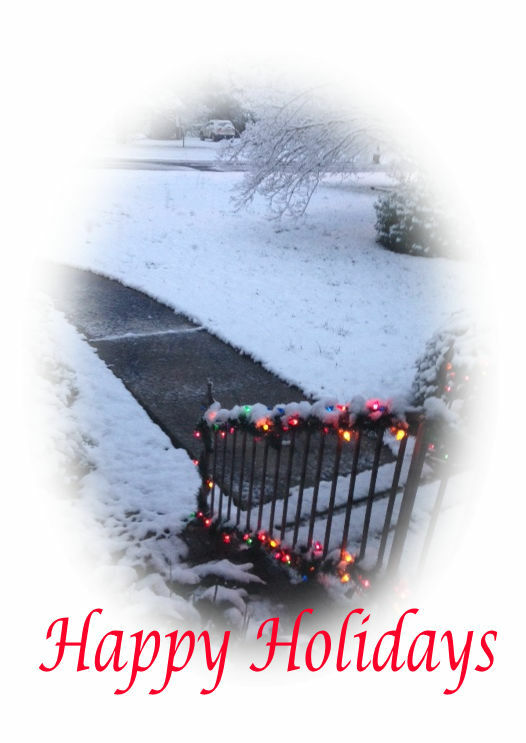 Wishing peace, joy, and love during these Holidays and throughout the New Year!! Those are wonderful wishes. Thank you, JQ and wishing you the same. Thank you so much, Jan. Hope you did. Merry Christmas to you Sandra! Hope your Christmas was wondrous. Merry Christmas, babe! 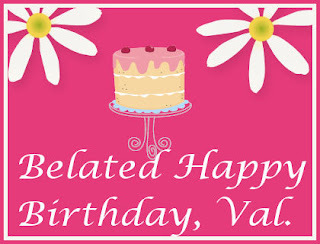 :) Wish you literally ALL the best. Lots of love!! I hope you had a lovely Christmas with your loved ones, Sandra. Thank you so much, Lee, and wishing you the same. Thank you, Ro. I've enjoyed meeting you too and looking forward to a continued friendship in 2018. May 2018 bring you Joy, happiness and good health! Thank you so much, Jan. And may I wish you the same. Happy New Year dear Sandra. I hope 2018 is your best year yet! Thank you so much, Barbara, and right back at ya.